It was lunch time at school yesterday and as usual I sat on the top floor looking for something to draw. 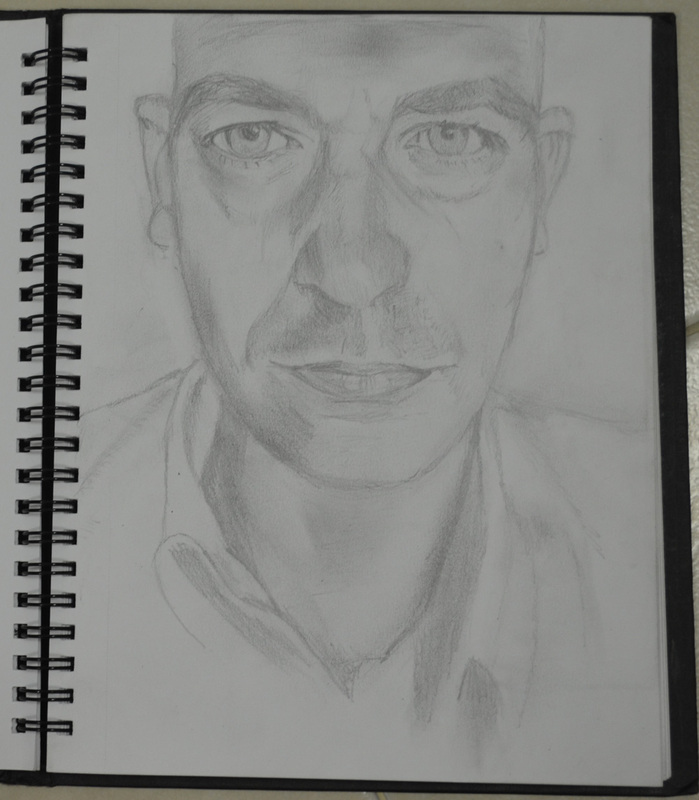 I decided on a self portrait, I’d never drawn a picture of my own face before and wondered how long I could get a drawing looking anything like me, so I took a photo with my mobile phone and started sketching away. 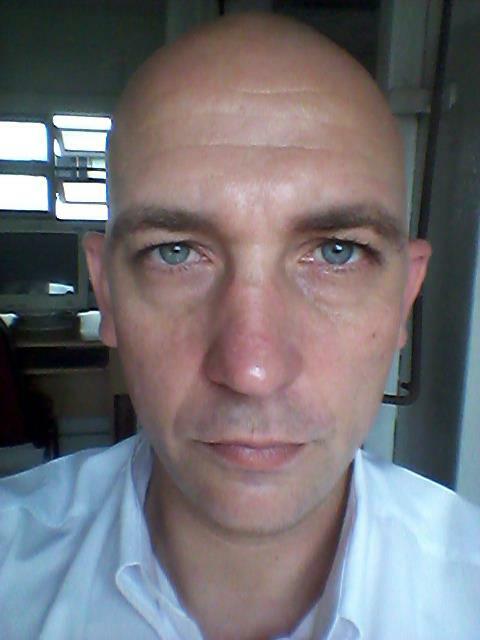 I started on my right eye, left in the photograph working down to the tip of my nose then with my nose complete moved onto my left eye. Within 40 minutes I had my drawing looking something similar with the eyes and nose almost perfect. However the mouth was a little to high and so it put my face out of shape a little making it more round than long. For a first attempt I’m quite satisfied and even though my face was slightly out of shape I know I can only improve.